Backspin has another beautiful new video…this one featuring 3A master Patrick Borgerding! When Patrick Borgerding visited Poland this summer, we decided to shoot him a brand new video. And what’s better to celebrate that than shoot it in beautiful Polish Tatra Mountains with some incredible music by one of the greatest modern Polish artists – Gooral! Yoyo used is the YoYoFactory Cyborg. Check out this clip video from the 2014 South Poland Classic…with a special appearance by YoYoFactory’s Patrick Borgerding! YoYoFactory released pics, specs, and video of their new signature model for US National 3A Champion Patrick Borgerding – the Cyborg! Designed for Patrick by Kentaro Kimura, the Cyborg is meant to be the ultimate 3A yoyo for one of the leading players in the style. 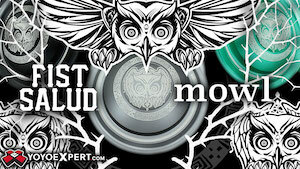 Specs and video are below, as well as YoYoFactory’s official statement on this new release, due out June 1st. Talk of signature yo-yos usually starts with an off hand comment, usually after a major contest win. Patrick Borgerding didn’t even need to make the comment when he won the USA National Contest. We already had it planned. The plan involved working with Kentaro Kimurra, long time friend, World YoYo Champion and owner of Turning Point, a boutique Japanese manufacturer. Kentaro had ideas for the perfect yoyo for Patrick and we all agreed on a design direction and plan. We tested in both 6061 and 7075 with knowledge we could choose to produce both, either or neither. We took our time. 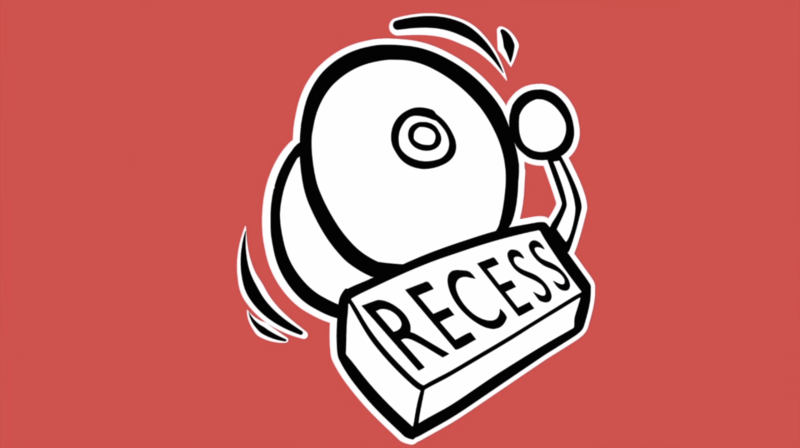 We wanted this to be a special yoyo. We made it local (every stage of the production was performed in USA) and spared no expense for finish or looks. In the end we went with 6061. Its finish stood up to hits better than 7075 and the performance couldn’t be bettered. The end result is one of the finest yo-yos we have ever made. YoYoFactory’s Patrick Borgerding was in attendance at the 2014 Mexican National YoYo Contest (full results here), and he rocked out a 5+ minute 3A demo, much to the crowd’s delight. 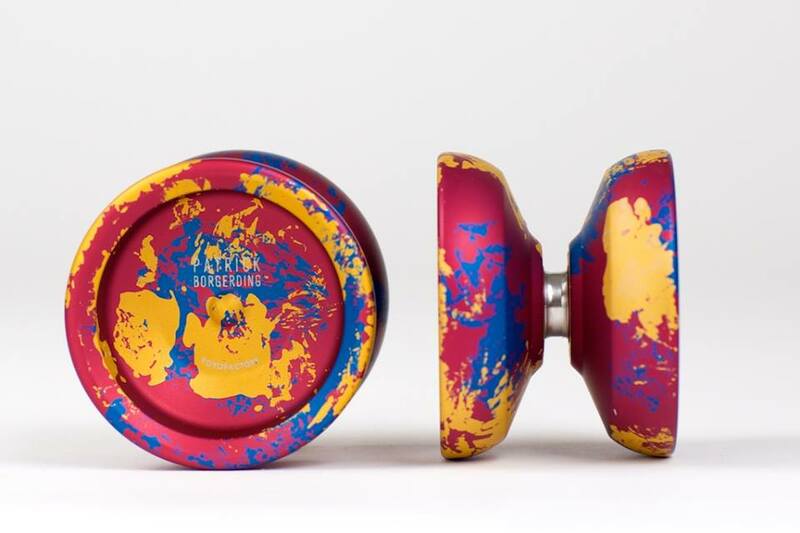 Patrick is definitely one of the leading forces in 3A play, and with his new signature model on the way from YoYoFactory it’s safe to see we can expect to see a lot of him at contests this year. Happy Thanksgiving! YoYoFactory decided to reward our sloth with a new video from some of their top players enjoying a day at the pier, and throwing down an absolutely stunning array of tricks. Featuring Tyler Severance, Patrick Borgerding, Clint Armstrong, David Ung, and Paolo Bueno. YoYoNews contributor and YoYoFactory-slinging 3A badass Patrick Borgerding got himself a great write-up in the Santa Barbara Independent, the main newspaper in Santa Barbara, California. Full article pasted below! After coasting through statewide, regional, and national yo-yo contests and collecting a shiny first place medal at each stop, a UCSBstudent continued on to win second place in the 2013 World Yo-Yo Contest this summer. Patrick Borgerding performed a three-minute choreographed routine before a panel of retired yo-yo champions. They judged his routine on technical execution, cleanliness, performance, and ability to thrill the audience. Borgerding placed second in his division, division 3A, which is specific to contestants wielding two long-string yo-yos. Though this is the first year Borgerding qualified for the world championship, he is no stranger to competing, and winning. “I was such a competitive little kid — I had no control over how much I wanted to win. I got first in the little regional competition and that kind of hooked me,” said Borgerding. His winning streak had only just begun. After getting second place in the national competition two years in a row, Borgerding decided something had to be done. He practiced three to four hours each day for two months in preparation for this year’s national tournament, at which he finally won first place, automatically qualifying him for the world contest. In the 10 months preceding the international competition, Borgerding continued to practice every day, slowing down only when UCSB’s coursework picked up. He’s double-majoring in economics and psychology. 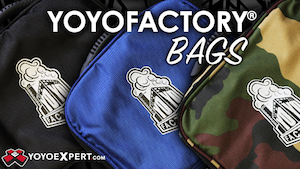 Armed with a sponsorship from the largest yo-yo distributor in the world, YoYoFactory, Borgerding is frequently flown to make appearances at yo-yo events. He also owns more yo-yos than he can count, literally. He does not know how many he has but estimates upward of 500. His current favorite, the Proton, was designed by his all-time-favorite yo-yo champion, Kentaro Kimura, who once personally told Borderging he had potential. Borderging says that being a part of the yo-yo community since he was 9 years old helped him mature and foster creativity, as well as awakened a thirst to win, one he satiates constantly. The 3A division has come a long way, considering it was born in the Holiday Inn parking lot at the US National YoYo Contest. With each passing year, this style gets faster and smoother, with players going further and further out on a limb to harness the best aspects of 1A play and make them exponentially more incredible by doing them two at a time. Here are our picks for the top contenders the 3A division. Patrick blew minds at Worlds with his crazy horizontal 3A tricks, and a routine packed with an incredible number of bangers. Any dozen of his tricks could have been the grand finale of someone else’s routine, and Patrick just keeps ’em coming. His only weakness are his transitions…his tricks have a lot of set-up and can sometimes be slow to get out of. With so much talent nipping at his heels, Patrick has his work cut out for him, but he’s definitely the leading contender. Alex Hattori is just about due for a break-through. With a solid 4th Place finish at this years World YoYo Contest and plenty of other Top 5 and Top 10 finishes over the past few years, Alex Hattori is ready for his time at the top. His Worlds routine was top notch, and an impressive finish in a field of amazing talent…but it was still a 4th Place finish to Patrick Borgerding’s 2nd Place. Will this be Alex’s year? Eric Tranton stomping out that last amazing stall/regen trick of his routine (seriously, watch the end of his routine before you even finish this sentence) was one of the absolute highlights of the 3A Division at this years World YoYo Contest. Everyone in the room was on their feet, and every single other competitor felt a sink in the pit of their stomach as the saw the bar being raised for routine-ending bangers. If Eric can pull off at Nationals what he did a Worlds but go a little cleaner, he could walk away with his first National title. Elliot has a lot of talent, but faltered heavily in his Worlds prelim and didn’t make it through to finals. He’s an up-and-coming talent with a lot of promise, but he’s got a lot of work ahead of him if he’s going to knock off players with smoother, more polished routines. But on any given Saturday, it’s just a matter of who hits it and who doesn’t….and we think that if he goes clean, Elliot could have his shot at the cup. With a 5th Place finish at the Bay Area Classic (one of the toughest contests in the country) and a 3rd Place finish at California States, Ian Smith is starting to make a name for himself in the 3A Division. His play isn’t as polished as some of the rest of the competitors, but he’s got the skills to make Top 5 on a good day. Ryan Lai is a legend in the 3A player community, and one of the earliest competitive 3A players. His play is polished and smooth, but not on the cutting edge of difficulty. But never underestimate the power of someone who can hit everything they go for, and with his stage experience Ryan isn’t going to be as spooked on stage as younger players may be. With smooth style and high skill, Ryan is definitely a contender for the cup. Patrick Borgerding and Ryosuke Iwasawa join Backspin! Poland-based superhero team Backspin just became even stronger than before. US national 3A champion Patrick Borgerding, and Japanese string trick wizard Ryosuke Iwasawa are the newest members of the super elite team. Backspin, whose mission is to spread and promote yoyoing, already had Plamek, Ben Conde, Dávid Molnár, and World Champion János Karancz in its roster, and the new additions strengthen the team’s position as a global force. Next year’s EYYC will also be co-organized by Backspin, and judging by the team’s past efforts, we are indeed very excited about the contest in 2014! Our own Patrick Borgerding got a great write-up in his local paper, the Redondo Beach Reader. Excerpt of the article is below, as well as a link to the full piece. Congratulations, Patrick! Patrick Borgerding took a deep breath to calm his nerves. He knew what he was doing – he held, and still holds, the title of national yo-yo champion – but still his body was shaking. White stage lights blinded his vision. He knew that beyond them sat a panel of 10 judges who would be meticulous in their evaluation of a three-minute routine he had been ardently practicing for months. He also knew that beyond them was a jam-packed room of more than 2,000 spectators. It was early August, and the 19-year-old Redondo Beach native was in Florida, standing onstage at the World Yo-Yo Contest. He knew that his final score depended on his ability to wow the audience – that’s why he had incorporated a number of “flashy tricks” – and his technical execution. Borgerding launched into the routine that he had been fine-tuning and dreaming about for months. Three minutes later, the room rose in a standing ovation. He knew he had pulled it off. Read the full article online at EasyReaderNews.com.